Please use our secure email service to ensure your information arrives safely and securely to the First Utah Bank personnel intended. By itself, Internet email is an insecure communications channel. Messages sent via standard Internet email travel in “plain text” and cross many networks before reaching their final destination. As a result, an opportunity exists for prying eyes to eavesdrop on email messages as they traverse these various networks. Since confidentiality cannot be guaranteed, standard Internet email should not be used to exchange sensitive or private information such as social security numbers, account numbers, financial statements, etc. The first time you use the Secure Email Message Center, you will be prompted to create an account. Supply your email address and create a password to establish your account. You will use these credentials each time you log into the First Utah Bank Secure Email Message Center. A confirmation message will be sent to the email address you enter. You will need to click the link in the confirmation email to complete the account set up process. You can then begin using your account. 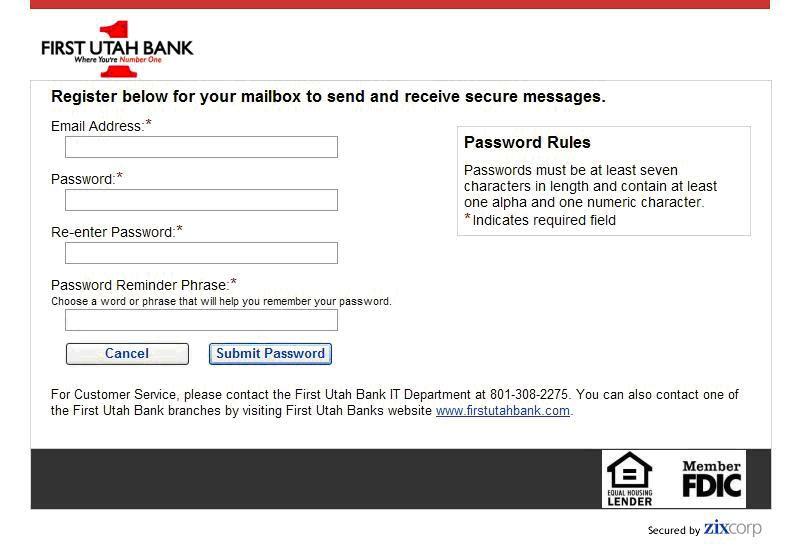 To send a secure email message to First Utah Bank, click on the link to the Secure Email Message Center (above). You will be taken to the login screen where you will be prompted to enter your email address and password that you’ve established. If you’ve never corresponded with the Bank via secure email, click the Register button. Once logged in, you can create a new secure email message by clicking on the Compose tab. When First Utah Bank sends you a secure email message, you will receive a notification message via standard Internet email. Click the link contained in the notification message to be taken to the login screen where you will be prompted to enter your email address and password that you established. If you have not already created login credentials, you will need to do so. Once logged in, you can read your secure email, download attachments to your computer, or send a secure reply message. Email messages sent to you will be retrievable for twenty-one (21) calendar days from the date the message was originally sent. What should I do the first time that I receive a secure email message from First Utah Bank? 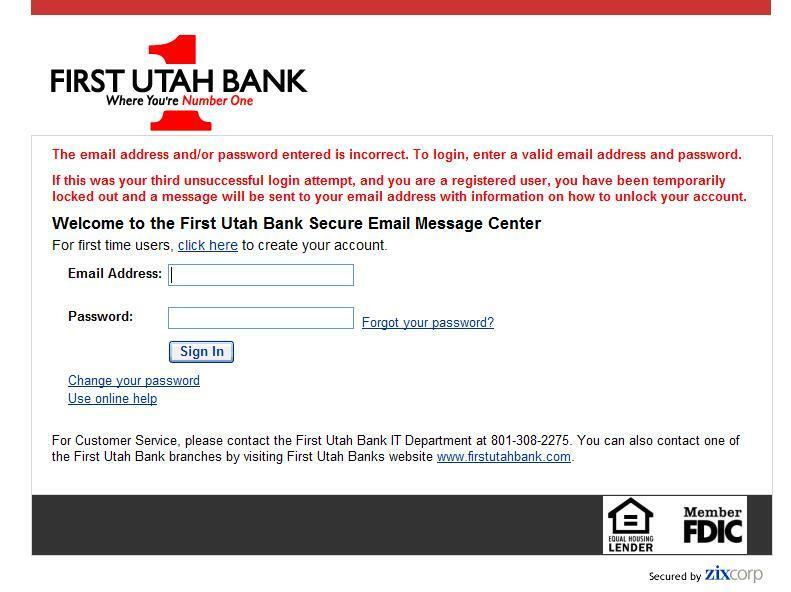 If it is your first time receiving a secure message from First Utah Bank, you will be required to register by entering your email address and creating a password. Please note the password rules requirements. Your password must be at least seven characters and contain at least one letter and one number. You will also be prompted to set up a password reminder phrase to aid you in the event that you forget your password. 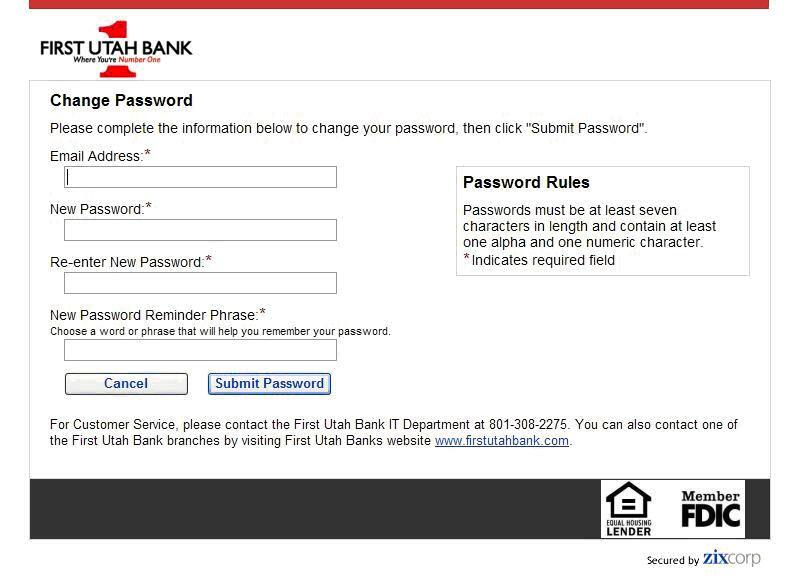 How do I reset my First Utah Bank secure email password? If you have entered your password incorrectly three (3) or more times, your account will be locked out and you will receive an alert similar to the one below. To reset your password you will need to click on the “Change your password” link. After clicking on the change password link, you will be asked to enter your email address. This email must match the one you entered when you first registered. You will also be required to enter a new password and a new password phrase. Click on “Submit Password”. To accept your new password click on the “Activate” link. Next, click the “Continue” button to return to the sign in page. Enter your email address and your new password to access your secure email. 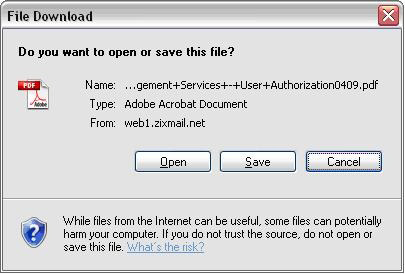 How do I retrieve an attachment from a First Utah Bank secure email message? To retrieve an attachment that you received securely from First Utah Bank, log in to your First Utah Bank secure email account and open the email with the attachment. The attachments link is below the subject line of the email message. To open the attachment click on the link and you will get a new File Download window asking you if you want to Open, Save, or Cancel. If you want to save the attachment on your computer, choose “Save”. If you want to view the attachment, choose “Open”. How do I reply to a secure email message? 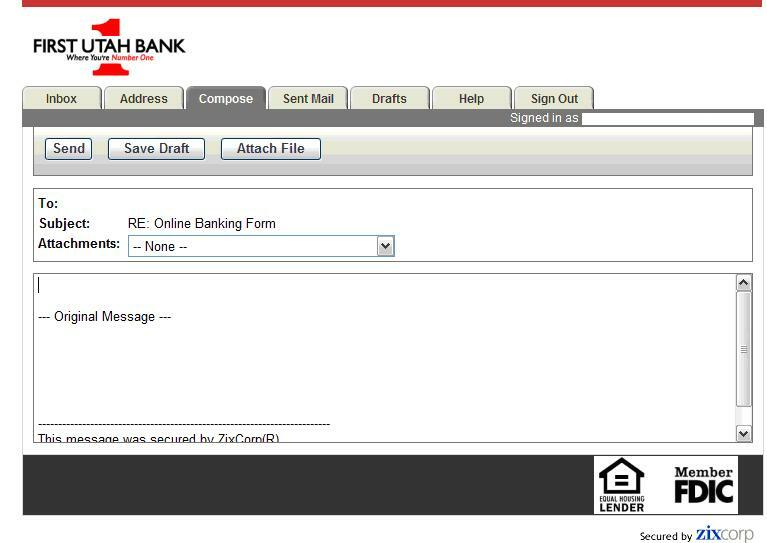 To reply to a secure email simply click the “Reply” button and you will be able to construct a response and send it back to the First Utah Bank employee who sent the original message to you. The message that you send back will be delivered securely. If more than one person was included on the original email, you can click on the “Reply to All” button and have your email response sent securely to all parties involved in the original email. If you would like to add an attachment to your reply, click on the “Attach File” button and browse to where the file is saved on your computer. You may attach up to ten (10) files per email response (the total size of all attached files cannot exceed 15 MB). Can I forward an email to a recipient other than a First Utah Bank employee? No. 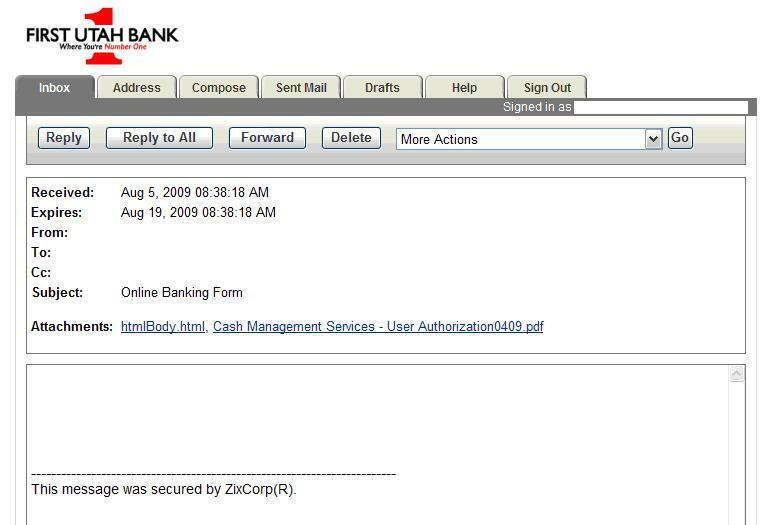 You are only able to forward secure emails to employees of First Utah Bank.